Demeter represents products made according to biodynamic farming principles. 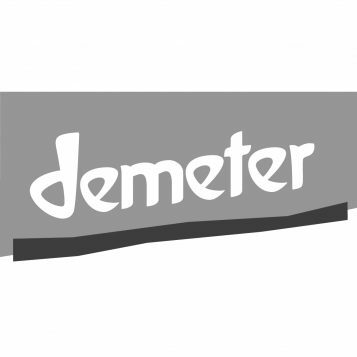 Demeter Austria is a member of the global Demeter association, which developed from the ideas of Rudolf Steiner. Beside the Waldorf educational philosophy, homeopathy, the Christian Community and socio-ecological management, Demeter is one of the anthroposophist ideas founded by Rudolf Steiner. Denise took over her grandmother’s old traditional bakery in Brunn an der Pitten and filled it with innovative baked goods. She uses our grape seeds and grains to produce top quality Demeter flour, which she uses not only to make traditional bread but also fine wine bread. This is also baked according to the 5-elements system and pairs wonderfully with our wines! We are delighted to be a member of this exclusive association of biodynamic wine makers since 2007. It was founded by Nicolas Joly, who can be practically described as the forefather of biodynamic viticulture. They are a cheerful bunch of people who not only like to organise tastings together but also love to exchange winemaking details and form wonderful friendships. This is the result of our friendship with organic farming pioneer Georg Schweisfurth, whose family is as multi-faceted as ours. The organically produced Amaro from Traunstein impressed us so much that we imported it ourselves. An old recipe without additives and only natural aromas is what makes Mondino so unmistakable. We can’t do without it. This is a great natural wine project in Vienna. Whether it is because of the interesting events, his blog, the innovative online store or simply the philosophising, it is absolutely wonderful and enriching to work with Leo. Reinhild Emmelmann has created something great here! We not only share the same ideology with ReinSaat, but we also provide this future-orientated company with top quality Demeter seeds from our bell pepper plantings. Seed cultivation and non-hybrid seed varieties with vital quality is the cornerstone of any further advancements in plant cultivation – a topic which is far too rarely examined in today’s society! 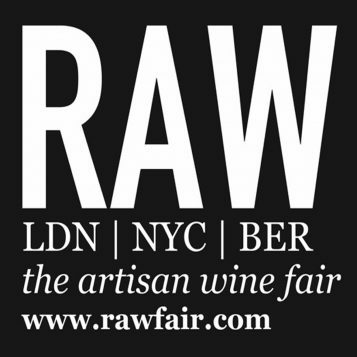 We have been a passionate member of the RAW community since the beginning and have attended every RAW fair since then. We consider this to be perhaps the most innovative wine fair ever, and we greatly admire Isabell Legeron’s work and firm views. If you ask us, Alice Feiring is the promoter of natural winemaking in the USA. 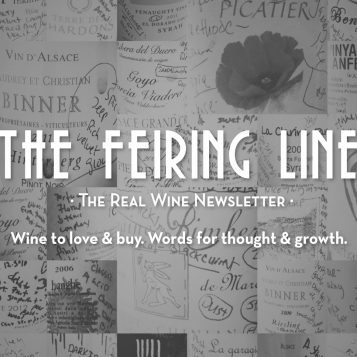 Her blog The Feiring Line as well as her book Naked Wine are standard source materials for wine lovers who want to know what is in their wine glass.